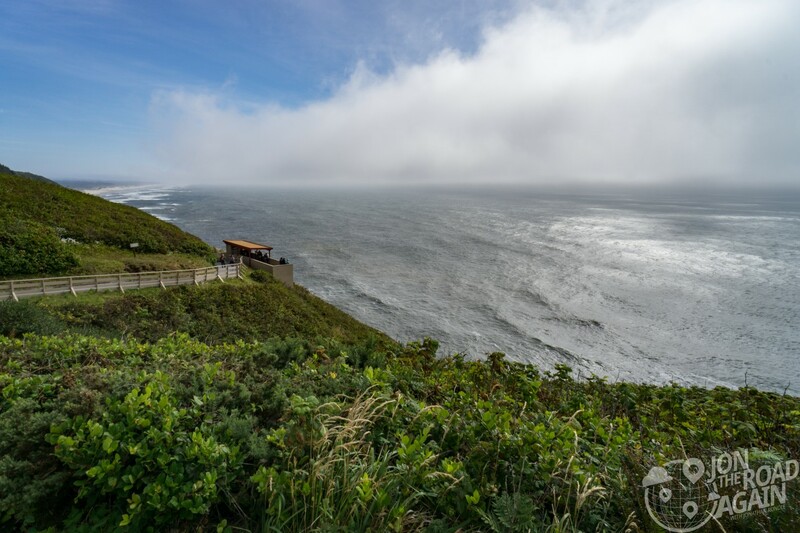 The Sea Lion Caves, a popular tourist attraction along the Oregon Coast, gets an unfair reputation as a Tourist Trap. Sure, you have to enter and exit through the gift shop. Sure, it’s kinda pricey. But, I propose you get a decent amount of bang for your buck. Made of basalt rock, these caves are over 25 million years old. They were discovered via row boat by Captain William Cox in 1880. Supposedly he got stuck in there for days because of rough seas and had to eat one of the sea lions. Supposedly. Cox bought the property from the State of Oregon and retained ownership until 1926. In 1927 R.E. Clanton purchased the caves with the purpose of turning it into a tourist attraction. 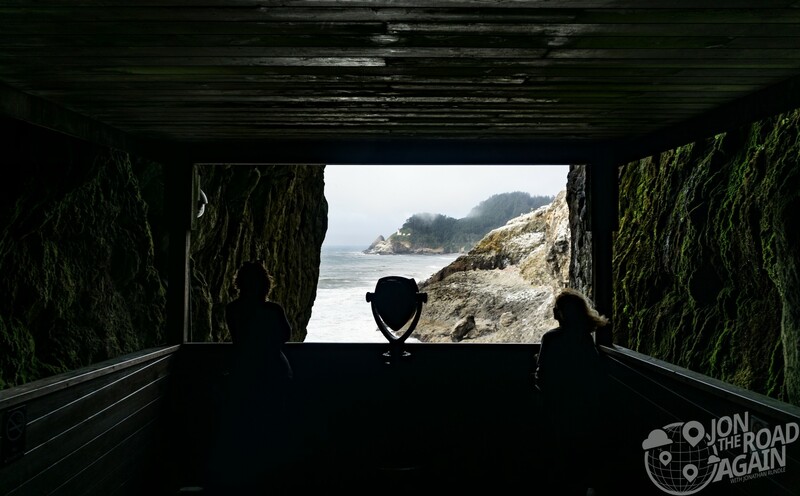 With Highway 101 being completed and finally paved in 1934, interest in the caves grew. In 1958 they added an elevator to make it much easier to access the caves. Once you’re through the gift shop, the world opens again. 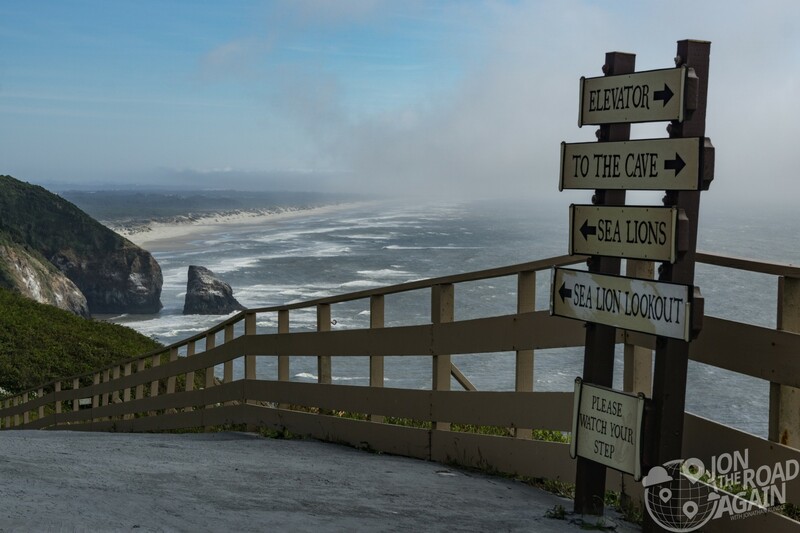 To your left is a great view of the Oregon Dunes National Recreation Area and an outdoor overlook to where the sea lions hang out (if they’re not in the cave). 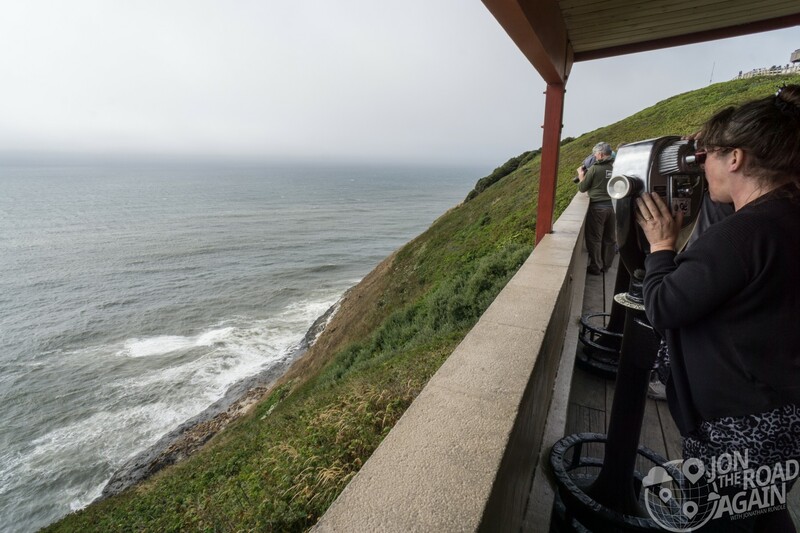 At the Sea Lion Overlook, you’ll be able to look through a couple of viewers to get a better view. 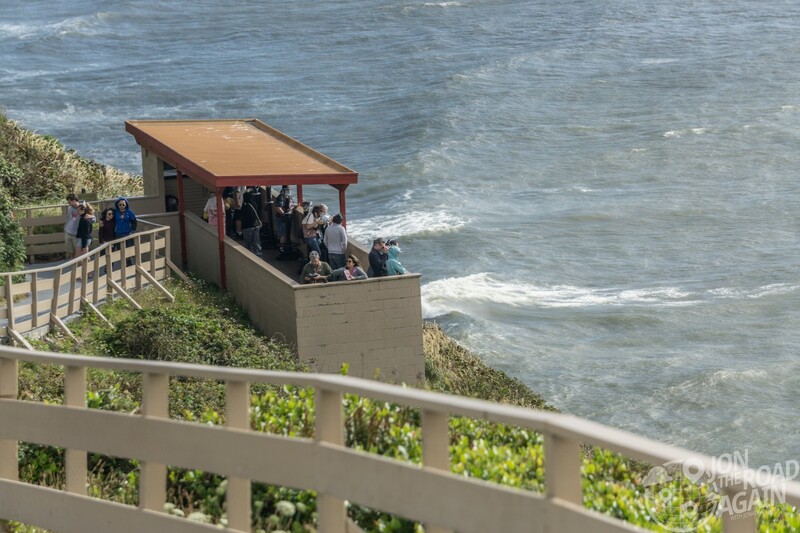 In addition to the sea lions, many types of birds and occasionally both grey and orca whales can be spotted from here. Twenty years ago the Stellar Sea Lion was put on the endangered species list, with killing of these animals prohibited by the US, Canada and Russia (with the exception of limited harvesting by Alaskan native populations). Since those protections were put in place, the population came charging back. So much so that in 2013 they were removed from the endangered list, with the legal protections staying in place. 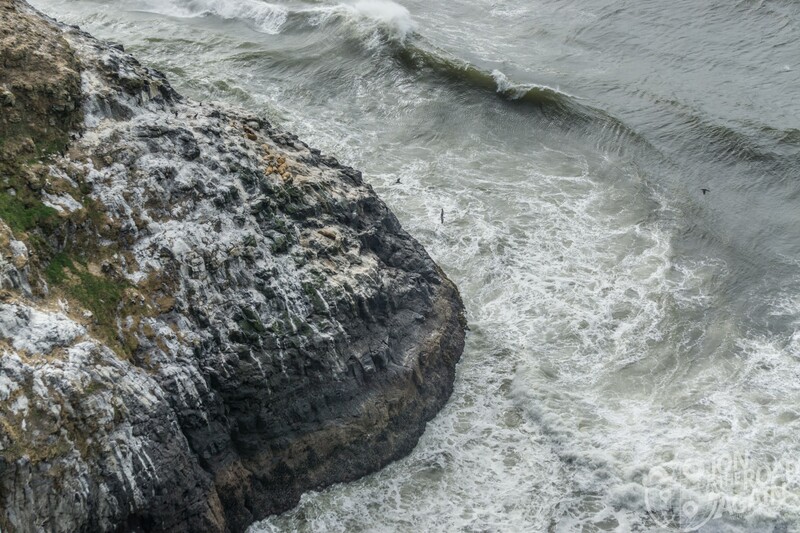 In this photo of the cliffs, you can clearly see that A LOT of seabirds also make their home here. 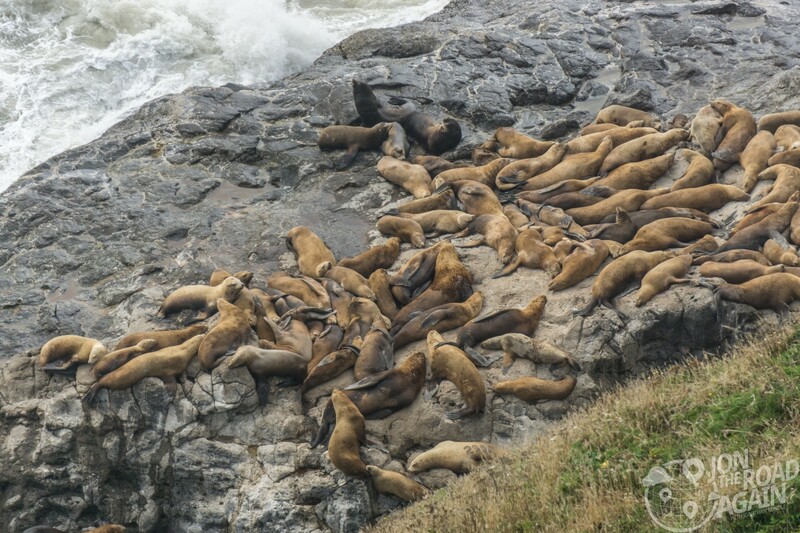 It’s a rough life out there on the cliffs, so these Steller Sea Lions take refuge back into the cave for breeding time. These caves are the only rookery (breeding ground) for these Sea Lions on the mainland. 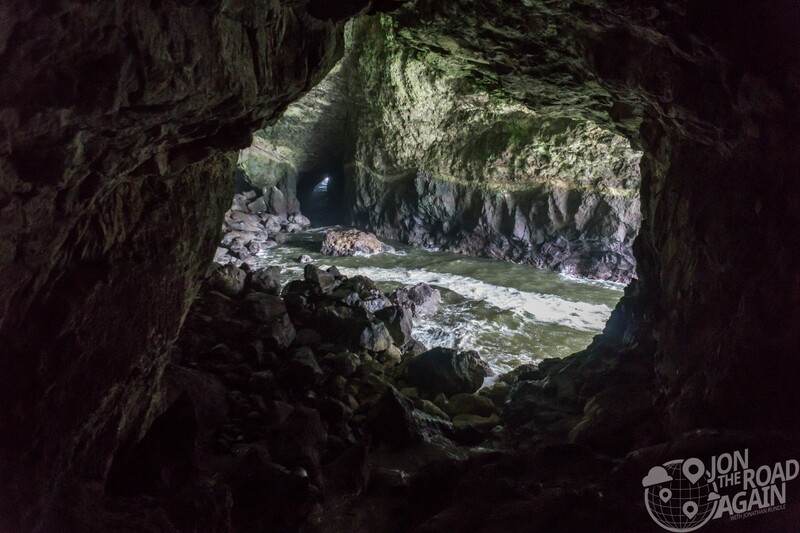 But a visit to Sea Lion Caves isn’t just about Sea Lions; you guessed it, it’s also about CAVES! The main cavern covers about 2 acres and is 125 feet tall at it’s tallest point. These caves are a spectacular example of a sea cave, in fact the largest in the Americas. A sea cave similar in size is the famous Blue Grotto on the island of Capri. 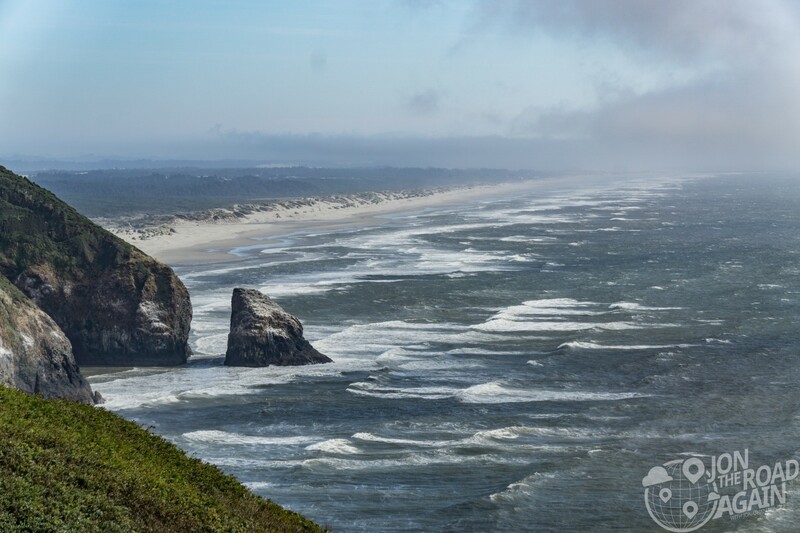 Things are a little calmer there than here on the rugged coast of Oregon. 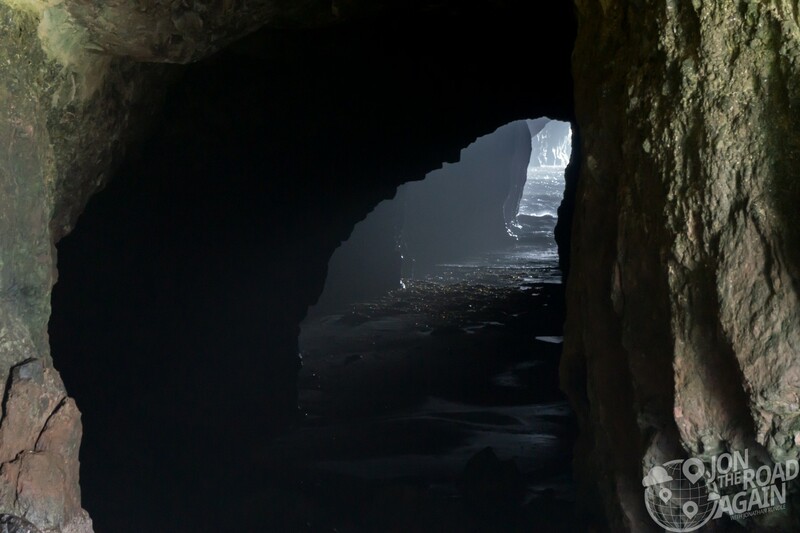 This cave runs about 1,000 feet to the south and exits at the ocean. We visited at low tide; at high tide it is completely flooded. 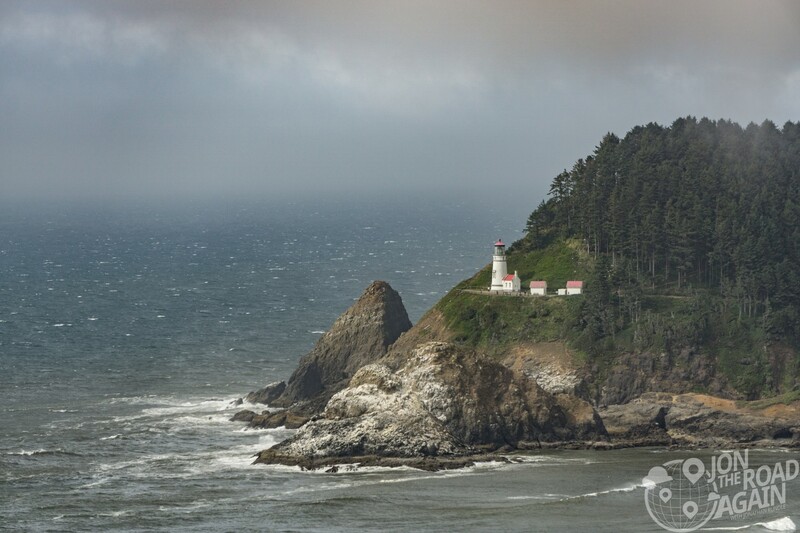 The third and final opening from the sea caves is this overlook of the coast with magnificent Heceta Head Lighthouse in the distance. 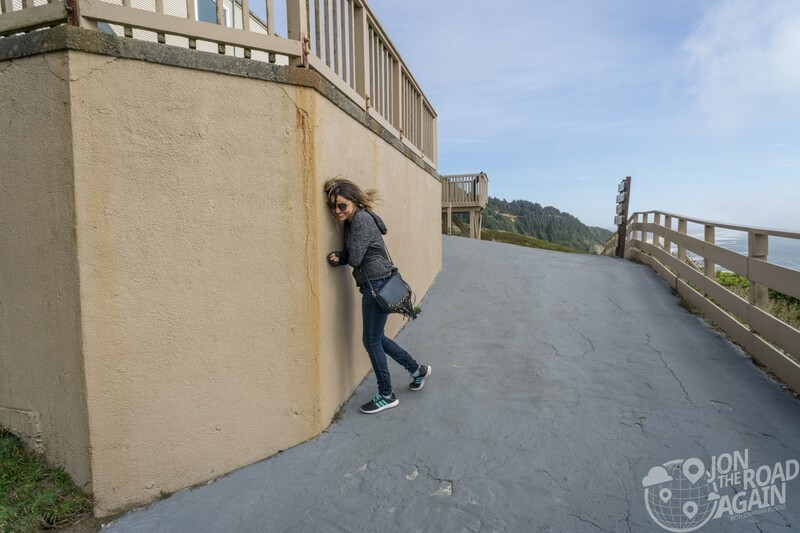 Walking to the overlooks is via steep ramps, so be aware of that. Access to the caves is via elevator from the northern overlook. Know that even in summer it will be windy and cold. Bring a coat and be ready to fight those strong coastal winds. You can’t hide from them, even though Whitney tried! The Sea Lion Caves are open every day 9-5 except for Thanksgiving (closes at noon) and Christmas Day (completely closed). Admission costs $14 for each adult (aged 13+), $13 for seniors, $8 for kids 5 – 12. This trip was lovely.Thanks .I felt bad for Whitney —-no place to get out of the cold wind.Loved the picture of the light house.